NHRPC is located in the rolling hills of Lancaster County, PA.
Rt. 322 East to 897 South. Continue 2.6 miles to top of mountain and turn left onto Meetinghouse Rd. Continue 1/2 mile to driveway on left. What is the combo to the gate? In 2014, NHRPC moved to electronic locks and access badges. There is no longer a gate combo for the general membership. To open the gate, place your white membership ID on to the front of the Keybad/Badge reader. The reader will beep and the LED change from Red to Green while the gate/door unlocks. This same card provides access to the clubhouse and 22LR Only indoor range. The readers can only read one card at a time, so if you store multiple cards in the same badge holder please remove just the badge you wish to use. 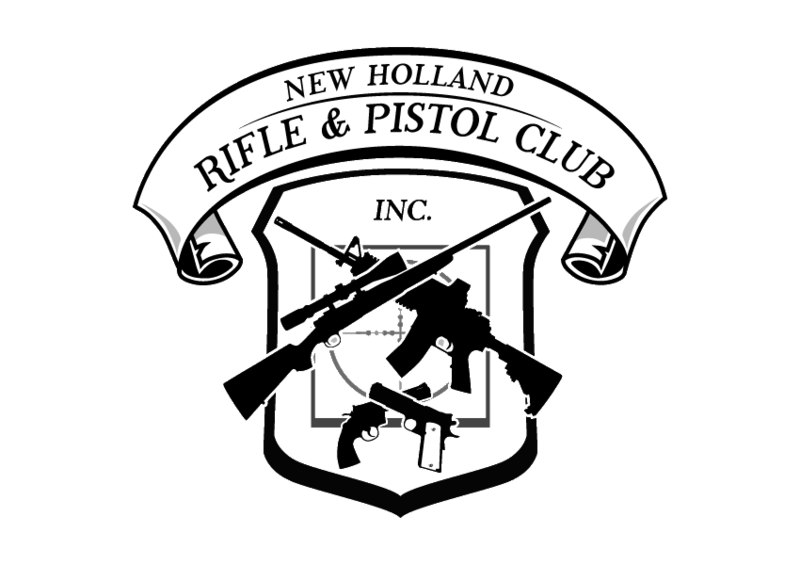 I’m a member of NHR&PC, can I bring guests or family members with me to the range? A member can bring up to three (3) guests with them to shoot on our rifle and pistol ranges. Spouses and children under 18 are part of the family membership and do not count as guests. A fee of $5.00 per guest is charged, which is deposited in the drop box (mail slot) at the clubhouse. The Guest Pass must be visibly displayed at all times, while on NHRPC property. The member is responsible for the behavior and safety of their guests while at the range. Guests must be accompanied by their host member while at the range. Juniors under 18 shoot for free, but are counted as a guest if they are not part of the family. NHRPC is open Seven Days a week, from 08:00 – Sunset. Sundays 10:00 - Sunset. Individual ranges or the entire property CAN be closed for NHRPC sanctioned matches and events. PLEASE check the Club Calendar for specific range closures, BEFORE traveling to the club. Monthly general member meetings are held on the third Tuesday of each month, at 7:00PM. I’m not a member of NHRPC, can I shoot at your range? NHRPC hosts public matches on scheduled days (Check Calendar). A non-member can come as a guest of a member and shoot on our rifle and pistol ranges. Non-member guests must be accompanied by their host member while at the range. Do you rent firearms at your range? No, you must bring your own firearm to shoot at the range. Are there any firearms that are banned from being shot at the range? Any firearm with a caliber based on the .50 BMG case, including 50 BMG and the .416 Barrett are banned from being shot at our range. This is for safety and liability reasons due to the range and power of these cartridges. Additionally, while legally registered full-auto machine guns are welcomed at our range, they may only be fired in a semi-automatic mode of operation. Can I train my hunting dogs on Club property? Do you offer any training classes? Can I fire rifles on any of the pistol ranges? Rifles firing ANY rifle caliber ammunition are prohibited from ALL pistol ranges except during approved events. Rifles firing straight-walled PISTOL-CALIBER ammunition ONLY; are permitted on all Pistol Pits. Pistol caliber carbines are permitted, 22LR Rifles are permitted. If there a membership cap? Are memberships open? NHRPC has a cap of 1000 paying members as of 2014. We are currently at capacity and work from a waiting list that must be signed up for every year. Do I have to pay an initiation fee to become a Member of the Club? Yes. New members (including members that allow their memberships to expire and have not previously paid the initiation/land fee) must pay an initiation fee. *There is a onetime $250.00 initiation fee for new memberships. What defines a family membership? Spouse/Partners living in the same household and any children under 18 at the start of the year. Children over 18 will need their own memberships or attend as a guest. Children turning 18 while parent is a member will not need to pay an initiation fee for their new membership. Complete the online membership application, have your application accepted at monthly meeting, attend one of the monthly new member orientations, and pay dues and initiation fee. Once accepted as a probationary member, attend four (4) meetings and two (2) work days OR three (3) work days with no (0) meetings; to become a full member. Will I be expected to do anything. When are work parties? New / Probationary members are expected to participate in four (4) meetings and two (2) work days OR three (3) work days with no (0) meetings; during their first twelve (12) months of membership. Work days are posted on the clubs website calendar. Assistance with programs or matches can be credited towards work requirement. NHRPC does not offer refunds. NHRPC members are non transferable. Life memberships are no longer available. My membership has lapsed, what now? Contact the membership chair to be re-instated. If you previously paid a land purchase fee or initiation fee instated after the land purchase, this will be credited against the current initiation fee amount and any difference will be need to be paid along with the membership dues.